One year ago almost to the day as I write, Peachtree Audio invited me and other members of the audio press to the New York City retail shop Stereo Exchange, where various announcements regarding the brand were bundled, by the company's Jim Spainhour and David Solomon, under the virtual banner "PEACHTREE 2.0." 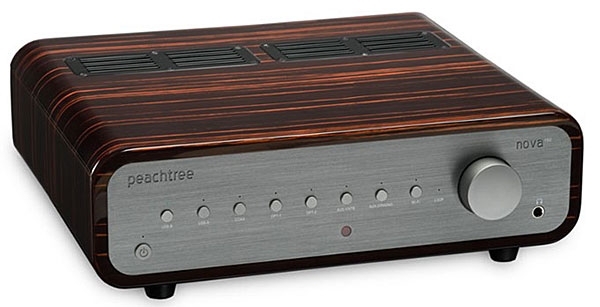 Among the news: Peachtree, based in Bellevue, Washington, would now be manufacturing their nova integrated amplifiers in Canadathe company's previous offerings were all made in Chinaand they'd signed up a new design and engineering team. 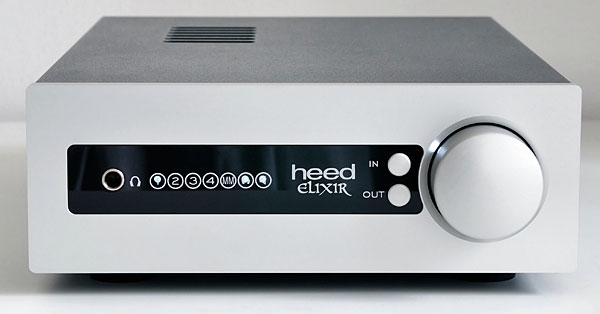 The last few years have seen a flood of new integrated amplifiers in an audiophile market traditionally wedded to separate preamps and power amps. 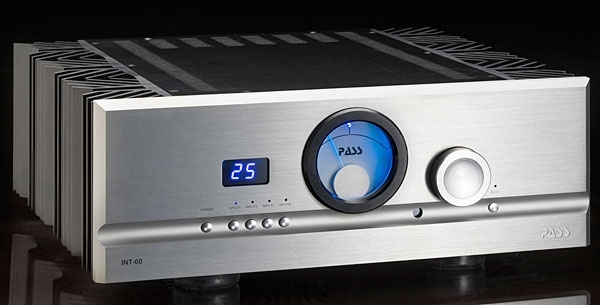 That might reflect the fact that integrated amps make a lot of sense, and not only because they usually cost less than equivalent separates. The latter gained a foothold in audio's Paleolithic era, when tubes were the only game in town. 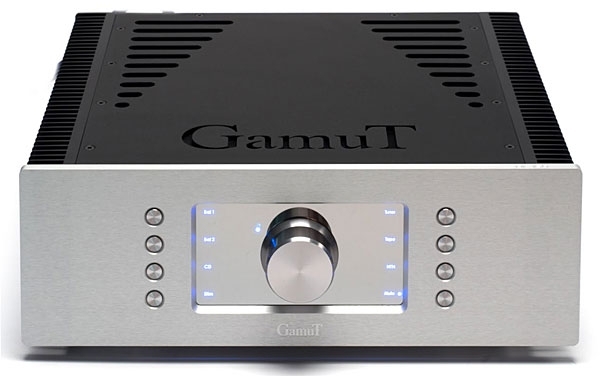 Tubes generate lots of heatan enemy of electronicsand separating the preamp stages from the output devices kept this under control. Yes, there were integrated amplifiers back then, but they were generally of very low power25Wpc was once considered monumental. As Stereophile's true cub reportersorry, Herb Reichert, you're senior staff!I work in the domestic fields of the high-end audio landscape. Meanwhile, my fellow Stereophile correspondents trot the globe, attending international audio shows, experiencing all the sweet spots offered by such far-flung locales as Munich, Montreal, and Northamptonshire, UK. Am I complaining? Not! But when an audio show of merit invades New York City, still the capital of the civilized world, you can believe I'm there on opening day, pen and pad in hand. The first rooms on my must-visit list usually include Audio Note UK, DeVore Fidelity, MBLand, when the gear is warm and the good vibes flowing, as they usually are, Wes Bender Studio NYC. When I applied for this fabulist audio-preacher gig, John Atkinson protested, "But Herb, aren't you a triode-horn guy?" "No, that was decades ago! Today I'm still a bit of a Brit-fi guy, but my mind remains wide open." However: As a professional reviewer, I am biased toward affordable, lovingly engineered audio creations made by family businesses with traditional artisanal values. 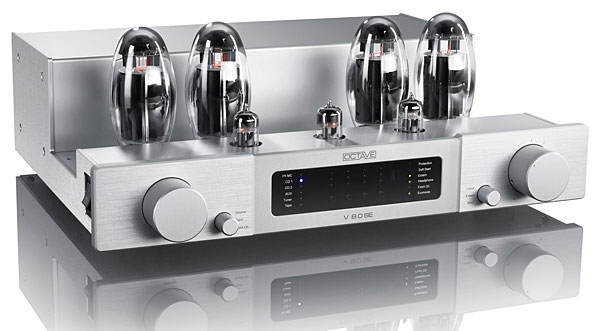 I enjoy solid-state as much as tubesoften more! 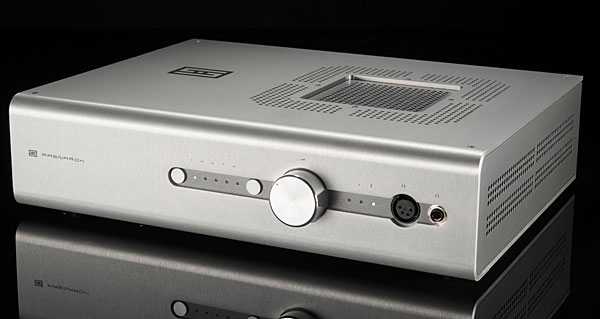 If I told you that Pass Laboratories' INT-60 integrated amplifier ($9000) was engineered by meth-lab trolls, its faceplate was wonky, its transformers buzzed, and it made every instrument sound like a tambourine, you'd think I was a crackpot with some kind of axe to grind, right? Because I suspect that, like me, you've never experienced or even read about a Pass Labs amp that didn't sound good. I recently watched Terra, an exceptional film by French directors Yann Arthus-Bertrand and Michael Pitiot. It's not a nature documentary per se, rather a history of life on Earth from lichens to lions, amoebas to humans. Terra boasts stunning cinematography of the natural world, revealing a beauty that nearly softens the film's cautionary message. "How have our relations with other living beings changed so much?" asks Arthus-Bertrand on his website. "What do we still see, or notice, of the living world around us? . . . We no longer see the wild, we dream of it. It's an age-old fascination, visible in the paintings of the Chauvet Cave. But this dream is today disappearing, vanishing in factory smoke and industrial smog. . . . In 1999, I visited a friend, professor of Italian history Bill Adams, at his castle lair in the mountain village of Panzano, in Chianti, Italy. The 10th-century Castello di Panzano towers over the lush Tuscan hills, offering stupendous views. Each morning we'd walk down the mountain to the town below, where squat old men drank espresso and watched soccer at the all-in-one café/general store/post office. We toured the Roman ruins at Volterra and San Gimignano, gorged ourselves on pasta, and admired the fashionable young women. 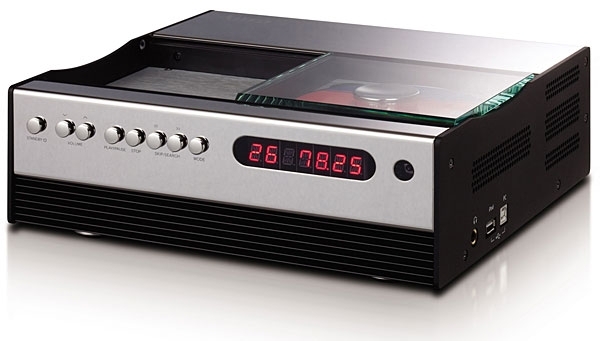 Described by manufacturer April Music as an "all-in-one music center," the Aura Note Version 2 ($2500) is a 125Wpc integrated amplifier with a built-in CD player, USB DAC, and FM tuner. 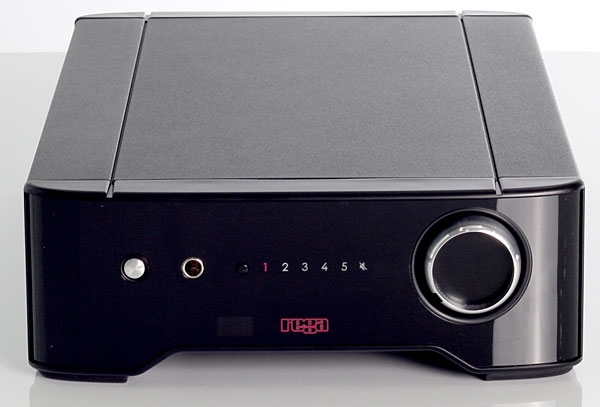 The Aura Note is further enhanced by a Bluetooth receiver, a pair of line-level output jacks, and a headphone jack. The hackneyed but not inappropriate comparison to a Swiss Army knife comes to mindbut where that well-loved tool does a great many things with less than perfection, I've now heard the Aura Note V2 do at least two different things well enough that no excuses need be made on its behalf. August 26, 1944: The liberation of Paris. Imagine ranks of tattered Canadian soldiers marching past the Moulin Rouge à Paris. The voice of Édith Piaf singing "Ou sont-ils, mes petits copains?" (Where are my boyfriends?). Maurice Chevalier crooning "Ça sent si bon la France" (It smells so good in France). A Canadian army tank with the words Kaput and Finito painted in white above the word Montréal, motoring past the Eiffel Tower. Remember the fresh, celebratory taste of fine Champagne.